JIMMY Page has announced the release of his autobiography - the first ever captioned and curated by a member of Led Zeppelin. The Led Zeppelin star has curated and captioned the work entitled 'Simply'- which is due out in October - using over 600 handpicked photographs to tell his life story. He said: "I've been asked on a number of occasions to do a written book and I thought of the other side of the coin. I thought it would be unique to have an autobiography in photographs, charting my whole musical journey." 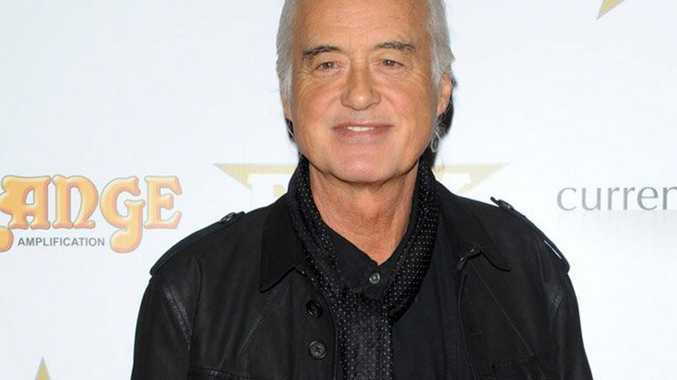 The book will be the first written by a member of Led Zeppelin - which also included Robert Plant, John Paul Jones and the late John Bonham - has taken over two years to compile and follows the legendary guitarist's life from a 13-year-old choirboy to Sixties session musician, including his time in The Yardbirds and Led Zeppelin. Jimmy explained: "It was important to include every milestone along the way, so people who were fans of the music have got a real testament of the times. "You see this young man growing, from when I'm a choirboy - and took my guitar along to see if I could tune it up from the organ - right through to almost yesterday. "I wanted to make it as thorough as possible, so that meant trawling through all the thousands of files that photographers had taken, and pulling from my personal collection as well. There's a photo of me playing the guitar by the fire at Bron-Yr-Aur cottage. It's the most complete document that there's ever going to be because of the amount of time that I've put into every aspect." 'Simply' was originally conceived as a limited edition with just 2,500 selling out within weeks, making it the fastest-selling book in Genesis Publications' 40-year history. It be widely available in bookstores from October 2014.